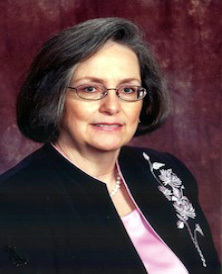 Susan Mellott is well known in the field of healthcare quality as a consultant and educator. Dr. Mellott has authored numerous publications and is a nationally-recognized speaker. Susan is a Certified Professional in Healthcare Quality (CPHQ) and is also a Fellow of the National Association for Healthcare Quality. She currently serves on the Advisory Panel of the Healthcare Associated Infections (HAI) and Preventable Adverse Events (PAE) under the Texas Department of State Health Services. She is also a DNV Accreditation surveyor. Dr. Mellott has extensive experience with the survey process, especially with The Joint Commission standards and surveys. Dr. Mellott has focused on healthcare quality in multiple settings, including hospitals, long term care centers, home health settings, clinics, and networks. She has experience in decreasing costs, improving patient / customer satisfaction and quality, while involving teams from the facility, including physicians and administrative staff. Dr. Mellott also addresses groups around the country regarding performance and quality improvement in healthcare. provides current, principle-based information for healthcare quality professionals seeking an integrated overview of the field, preparing for the Certified Professional in Healthcare Quality (CPHQ) Examination, or desiring continuing education. Covers up-to-date field information and key CPHQ Exam Content Outline topic areas in a focused walk through The Healthcare Quality Handbook, the required text, including discussion of many Study Questions. Professionals responsible for quality management and/or organizational improvement across the healthcare delivery continuum, as well as physicians, patient safety and compliance officers, utilization/care/case management professionals, risk management professionals, medical staff management professionals, health information management professionals, and all healthcare professionals with a passion for quality. Identify the core elements of current healthcare quality knowledge necessary to become an expert for your organization. Fit the core elements into a cohesive whole within the umbrella of healthcare quality. Apply healthcare quality principles and processes to your experience and work setting. Relate the core elements and their applications to appropriate areas of the CPHQ Certification Exam Content Outline. Identify which core elements and content areas require additional study prior to taking the Exam. This program is approved by the California Board of Registered Nursing, provider number CEP03370, for 16.8 contact hours and by the National Association for Healthcare Quality for CPHQs for 14 contact hours. Certificates of Attendance may be submitted for continuing education for all associations accepting healthcare quality content. Self-parking (visitors) is available in the main parking lot in front of SVMC PrimeCare Ryan Ranch. Schedule: Registration 7:30 a.m. Course presentation both days 8:00 a.m- 5:00 p.m Continental breakfast, lunch, and break refreshments included. Please bring a sweater or jacket. ADA Needs: Please contact CAHQ concerning any special arrangements needed in the Lecture Hall. Recording and Laptops: Individual recording of the Workshop is not permitted. CPHQ Examination: For information, CLICK HERE to visit the National Association for Healthcare Quality (NAHQ). PLEASE NOTE: NAHQ is no longer affiliated with the California Association for Healthcare Quality (CAHQ). CAHQ reserves the right to substitute faculty or rearrange the program due to unforeseen circumstances.